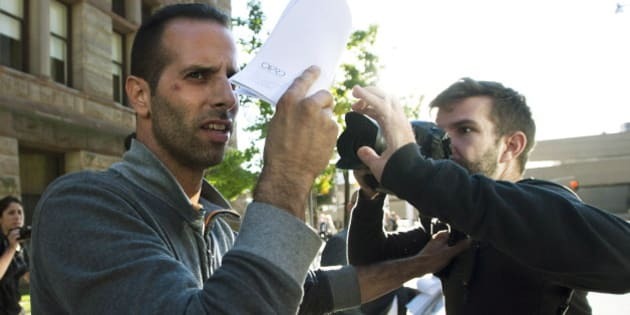 TORONTO - A man charged in a drug investigation hoped his friendship with Toronto Mayor Rob Ford would help him get a job with the city, court documents show. Alexander Lisi, 35, was charged with four drug offences, including trafficking marijuana, earlier this month. Media reports have described Lisi as an occasional driver for the mayor, and Ford himself has called him a friend and a "good guy." Documents released Tuesday show Ford vouched for his friend in a separate case this summer, praising his "exceptional leadership skills" and hard work in a letter filed with the court. The mayor wrote that he has known Lisi, who volunteered for his election campaign in 2010, "for several years." "Mr. Lisi has demonstrated to myself that he has a great work ethic and has always shown tact and diplomacy," read the letter printed on the mayor's official letterhead. When asked about the character reference Tuesday, Ford only said "I write lots of letters." Coun. Doug Ford was more expansive, saying that during 14 years at city hall, his brother has written "numerous" letters for those who've gotten in trouble with the law, including members of the high school football team the mayor used to coach. "Rob... doesn’t judge people when they come to him, he doesn’t throw the book at people, he tries to help them," Doug Ford said. In addition to the character reference, a section of the report said Lisi's future plans include "working for the City of Toronto with the endorsement of his 'close friend,' Mayor Robert Ford." Lisi is described in the report as a high school dropout who has held a series of short-term jobs in landscaping, cleaning and painting. He told the probation officer he was taking part in an anger management program, and a letter filed by an organization providing counselling said he had done "very well." A mandatory drug and alcohol assessment Lisi underwent as part of his probation found he didn't appear to have a substance abuse problem, the documents show. The Toronto Star reported earlier this year that Lisi was looking for a video that allegedly showed Ford using crack cocaine.